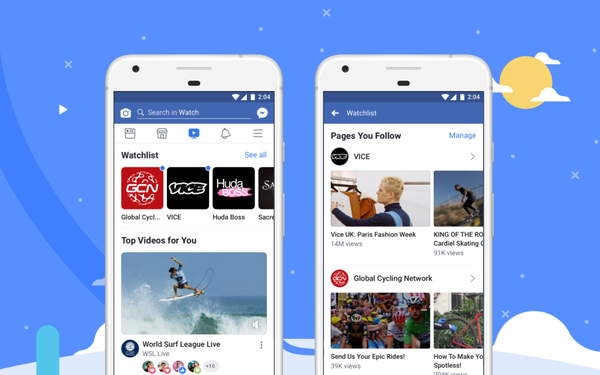 Trying to give its video strategy a shot in the arm, Facebook is rolling out Watch globally. The social giant launched the ad-supported on-demand video platform last year; it has since sought to fill it with a higher caliber of content. That has included live Major League Baseball games, a talk show hosted by Jada Pinkett Smith, and a behind-the-scenes fashion-show footage from beauty mogul Huda Kattan. Yet the success of the platform remains a subject of industry debate. On a monthly basis, more than 50 million U.S. consumers now spend at least a minute viewing Watch. Since the beginning of the year, total viewership has grown 14 times over, per internal estimates. However, only 41% of folks said they watch videos via the service at least once a month, according to a recent TDG Research survey of 1,632 adult Facebook users. In fact, only about half of adult Facebook users said they had even heard of Watch video service, TDG found. “The offering continues to face significant challenges regarding feature awareness and use,” the TDG report concluded. Fidji Simo, head of Video at Facebook, says Watch remains a work in progress. “We’re building new video experiences that put people at the center, giving them the ability to shape the direction of the content,” Simo promises in a new blog post. The global expansion also offers new opportunities for creators and publishers, Simo noted. For example, Facebook is also expanding its Ad Breaks program so more partners can make money from their videos. To grow its Watch audience, Facebook has made the service widely available across various platforms and services. Along with iOS and Android, consumers can find Watch on Apple TV, Samsung Smart TV, Amazon Fire TV, Android TV, Xbox One, and Oculus TV.